This is the perfect post for anyone who’s been blogging for a while and struggling to find the inspiration after exhausting the depths of their knowledge, trying to come up with topics to write about, but still not reached the authority status they’ve been after. Avoid writing the dreaded ‘filler’ content, where you reshape content that you’ve already written, and start writing unique and personal content that people actually want to read. As someone who write three times a week, but doesn’t quite see the sort of growth I’m looking for, it got me thinking about what I can be doing differently. Now that I look back on it, I can see how some of my most popular content has helped to make my website more successful, and how some of that content differs to what I usually write. These posts were much more personal, where I would talk about my own opinion on something, and this would spark conversation. Conversation leads to sharing, and sharing leads to new fans, and so on. Until recently, I’d never really looked at what some of my popular content had in common, I would simply say that, ‘those are top lists’, and ‘that one’s controversial’, or ‘that’s current and opinionated’, I had never said before what they all had in common, which was that they were all a matter of my opinion. I would say that I have a pretty strong opinion, and a writing style that helps people to understand what I’m saying, which certainly helps to get people on my side, and that has contributed to the growth of my website. Well, to know what’s the most popular, it’s always good to call on our old friend Google Analytics. When I go over the whole span over my website, and look at the most popular content, I can see quite clearly that 8/20 of the top 20 posts are based largely on my opinion, and three of these are top lists. Now, I’ve been through top lists in some detail before, so I’m not going to mention it again, as you should all be well aware of what they do. If not, click here. 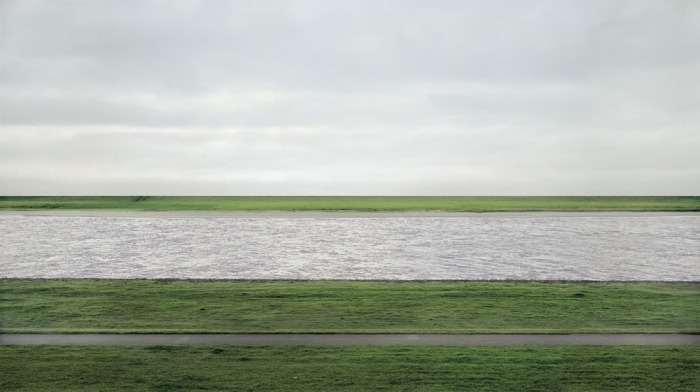 The World’s Most Expensive Photo – What Makes It So Great? Notice anything about them? Two things spring to mind when I see that list, firstly, all but one of them is in a ‘top 10’ list format, and secondly, they all seem to focus on the negative. Leaving the forth post aside for a second, lets focus on the other four for now. It’s quite clear that people are interested in the negative aspects of a problem, which point out their mistakes (in a list in this case), rather than positive solutions. I should make a point here, that although there are posts such as 10 Tips For Sharper Photos in the top 2o, what makes these results so special is that they’re the only negatively focused titles I have, rather than a huge number of positive ‘top 10’ lists that I’ve written. Now, I’m no psychologist, and I’m not about to start writing about why this may be, but all I know is that this seems to be true. But I don’t want to write negatively? Good news, you don’t have to! None of these posts are negative posts, they merely highlight a problem, or a potential problem, and then I talk quite positively about how you can solve it. For whatever reason (again, I’m no psychologist), people are more interested in being pointed out where they’re going wrong, than where they can go right. The thought that they may be doing something wrong is what interests the reader, which is all about what those top three posts are about. It’s all about capturing the reader with an interesting title, then following it up with relevant content, coupled with a positive spin, and then you’re well on your way to writing more popular posts. Well all eight of the posts that I’ve mentioned (the five above, and the three top lists), all include a personal opinion on a subject, and that is what people seem to be interested in. It’s what makes you stand out from the crowd, and what makes people interested in you, and remember you. A different take on a common subject is going to separate you from the rest of the pack, and will help you to stand out to your readers, who will begin to really value your opinion… if you can support the points you’re making. Don’t get me wrong, I get people disagree with me all of the time, but I carry on with what I’m doing, because these people are the minority, and the majority of people who comment will agree or at least provide their own take on a situation. When it comes to dealing with negativity on the internet, you really have to just pay no attention to it. Let it go over your head, and if anyone decided to leave a negative comment, that you don’t feel in contributing, then don’t accept it – it’s your website. If however they disagree, but provide their own thoughts on the subject, then accept and reply to them, and spark a conversation. All of this is good for Google, and creating interest in your posts – people read comments. When I say opinion piece, I’m referring to a post that is largely based on your own personal thoughts, and not backed up by hard facts. So whereas Top 10 Photography Clichés You Should Avoid To Improve Your Photography may be considered a tutorial, The World’s Most Expensive Photo – What Makes It So Great? would not be, and that is what we’re going to be looking at here. I wrote The World’s Most Expensive Photo – What Makes It So Great? on a whim really, I couldn’t think of anything good to write about, but I had recently learned about the sale of the world’s most expensive photo, which had sold for the princely sum of $4.3 million. I had done some reading about it online, purely out of interest, and the biggest problem that people seemed to have with it, was that it didn’t seem at all interesting. Have a look below, what do you think of it? Not really a lot going on is there? Well, that was a common thought, so I tackled it with what I thought was so good about it, and how I grew to love it. This was greeted with a really positive response, which got people talking. Not only that, but I started to rank in Google for it too. Not a lot of results, but I was doing much worse with Google then, than I am now. The point is that I found a niche within my own niche to write about, using my opinion, and it became very popular. Because it was my opinion, and an opinion that people seem to support for that matter, rather than some facts, people started to share it. That includes Google, as I previously mentioned. This contributes towards my authority status on the subject of photography, as I could point out what people couldn’t see for themselves. It may not seem like a lot to some people, but that was an incredible amount of traffic from Google for me at that point, and the same goes for Facebook. The bottom result is from a forum that I posted the link on (just in a comment reply), and it proved to be a hot topic. If you want a fast track to becoming an authority on a subject, then this is what you have to do. There are a few guidelines you’re going to want to follow. This is probably the most crucial element behind writing an opinion piece, because if I had written that same post now, rather than back in November, then it’s unlikely that it would have the same affect. People were interested at the time, because it was current and relevant, but if you asked them how much it sold for now, or who took it, or what it’s called, it’s unlikely that they would know. I recommend following forums, and RSS feeds for different websites, and see what’s becoming a hot topic, and then act quickly and write about it. I wrote about Canon Vs. Nikon, which is a big debate with photographers, and even though I’m very happy with what I’ve written, it hasn’t really provided me with many visitors, because it’s not a current topic that a large group of people in my niche are interested in. Don’t start exploring other niches. Stay within the realms of your knowledge and try to write about what you know best. I’m very good at studying composition, so I could decode the photo above and tell people why I thought it was so good, which was met with a positive response. It was clear that I knew what I was talking about, and if people disagreed, then it was a matter of their opinion, but they would still respect mine. If you start writing about something that you know little to nothing about, then people are going to see right through it and stop listening to what you’re saying. Whatever you’re going to be writing about, make sure you research it a lot, even if you’re only going to write a short post about it. Not only will you find other people’s opinions that may influence yours (I recommend looking through comments for this), but you’ll soon find the general consensus on what you’re writing about, and then you can choose to contrast or reinforce that viewpoint. It’s an opinion piece, so make sure people know that. In mine, I said on more than one occasion something along the lines of ‘all art is subjective, and what I think is good, may be different for you, but here’s what I get from the photo…’ You want to keep your reputation, and all though some discussion is good, you don’t want people to outright disagree with you, so again, back up what you’re saying with some explanation, and make sure people know that it’s your opinion – they will start to value it. Ask your readers what they think. This is a great way to improve reader interaction, and the majority of people reading your post will have an opinion, it usually sparks a pretty decent discussion. Comments will appear in Google too, so you want as many as you can get really, so long as they’re relevant. It also means that if they’re willing to comment on a post, then they’re probably willing to share it too, as they will likely know someone else who may be interested. Well there you have it, my favourite new tip to becoming an authority in your niche. If you’ve enjoyed the post, then do me a massive favour and click ‘Like’ below. I think some people havent become an authority in their niche yet, is because some of them are not being consistent enough. but most importantly being consistent and giving people real valuable information. Well I thought that as well, but I have been both consistant, and provided valuable information to my readers on ExpertPhotography, but I’m still a long way from becoming an authority. When I look at what I’ve written in the past, it’s always been the personal blog posts that have gotten the most unexpected information. You need to be different to stand out. yes and try creating some video tutorials. I make sure I create a video tutorial for my readers on every post I write because there is always something to teach. another idea try doing webinars to get the people in your niche listening to you live. Wow, every post? That sure sounds like a lot of hard work. Keep it up. Wow. I have yet to blog, but I found this to be helpful. I will keep this mind when I begin blogging. Great read. This is a fantastic post! It’s full of things that are common sense but bullet points that tend to be overlooked. Thanks Micheal! My name’s Josh, but that’s quite alright. I think that a lot of the bigger sites, with large followings, don’t necessarily write the best content. That’s definitely so in my niche. By a few words in a blog post, I’m assuming you’re referring to posts similar to that of DeadSpin and websites like that. Short posts often spark discussion, but never truly express their own opinion as they’re too careful not to exclude anyone. nice read. thanks for taking the time to write this. Josh buddy! I’ve been following your brother mike long before i started to see your posts here… Have to say you really know your stuff- what you said now is absolutely consistent with what i’ve spent quality time researching copyblogger and psychotactics blogs… And what i really like about you is you’re not metaphoric like some writers here no you tell it like it is…i don’t like fantasy posts i just want to know what’s working and that’s exactly what you do. I run an entertainment blog, and naturally all my posts are opinion posts as I write lots of reviews. But two posts got a lot more attention, and an equal amount of love and hate. One of these posts was on Pulp Fiction. I am one of the few people on these planet who is addicted to movies yet doesn’t like Tarantino movies. When I posted my opinion on why it was so overrated, people couldn’t wait to comment. Eventually I got so sick of the commenters attacking each other (even though I always make it clear that it is OK to disagree, but it is not OK to be immature about it) that I deleted the post. It might not have been a smart move on my part, but I don’t want to have to edit 85% of the comments on a post. You don’t like Tarantino movies? But seriously, you shouldn’t have deleted that post, see if it’s in your trash and you can get it back. You can always turn off comments if you have to. So long as you back up your arguments there’s nothing to worry about, and a large amount of people who post something negative won’t even read the post, so you can get quote happy to show them up that they haven’t even read it. I’ll check my thrash. It is possible to disable comments just for one post, right? Thanks for the tip! Yeah, if you’re using WP, go to screen options at the top, and click on the discussion tab. I’ve kept it up recently and definitely noticed the difference in traffic, Google included. Work hard, live your niche, immerse yourself in your niche, turn off the TV, close the email and work hard. I will say you really have to love your niche. It takes hard work and to be able to consistently provide great content and stand out. Brilliant tips Josh thanks for sharing. Yeah there are certainly times where I hit a wall and don’t want to touch it, and end up forcing myself, but the majority of the time it’s great fun. I’ve been following your website for some time and have found your posts to be informative and also inspiring. After much deliberation I finally made the decision to start my own website and begin blogging about travel. While so far it is only very new and has little content, I am writing three times a week for the site as well as planning to come up with a new twist on the travel niche that will drive traffic my way in the long run. I’m not looking to make huge money out of this site though, but rather inspire more people to travel! Keep up the great work, I’ll be keeping an eye on your site! Thanks great news, I’m glad to hear it. It’s interesting that negative titles and lists are so popular – but not entirely surprising. Josh! Great job. Very encouraging.